Milled occasional tables designed by David Whippen, San Francisco-based designer, embody both an industrial and sleek aesthetic. This could be attributed to their geometrical and linear shapes, as well as the aluminum and brass material they are constructed of. The Milled tables are exclusive pieces that are part of the dselex collection. They were inspired by artistic mosaic tiles and are reinterpreted into a more minimal modern design. 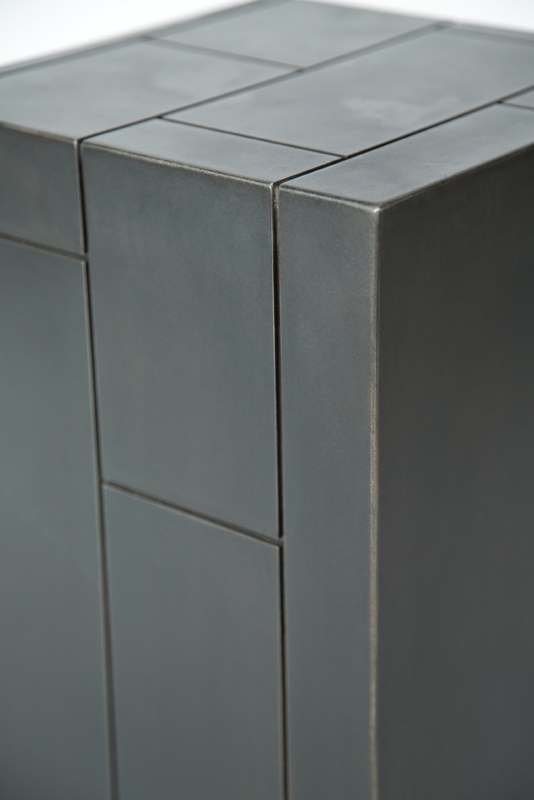 This becomes evident in the tile pattern that is milled into the metal. The tile pattern is only partially displayed on the top and on one side of the piece. The remaining structure is smooth to provide contrast and interest to the design. Milled tables can be considered artistic sculptural pieces for interior spaces and are available in different sizes and metal materials.